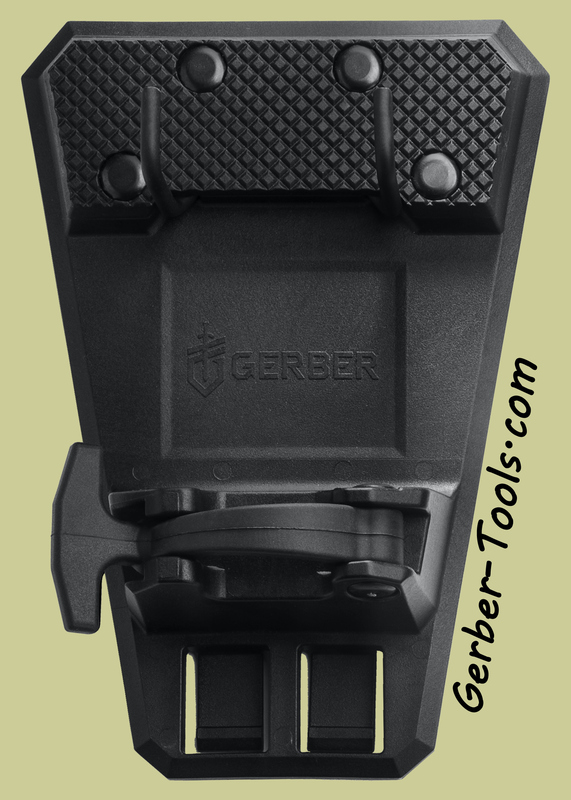 Gerber Ding Dong 30-000790, when ringing the doorbell is not an option. 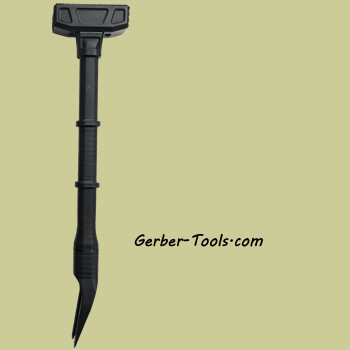 The Gerber Ding Dong is a door / barrier breaching tool / multitool that features a battering ram, a sledge hammer, and an oversized pry bar. The Ding Dong weighs a hefty 12.5lbs so it builds up momentum in a hurry. The sledge hammer has teeth in it so that it can bite into the target and keep a good grip on it. 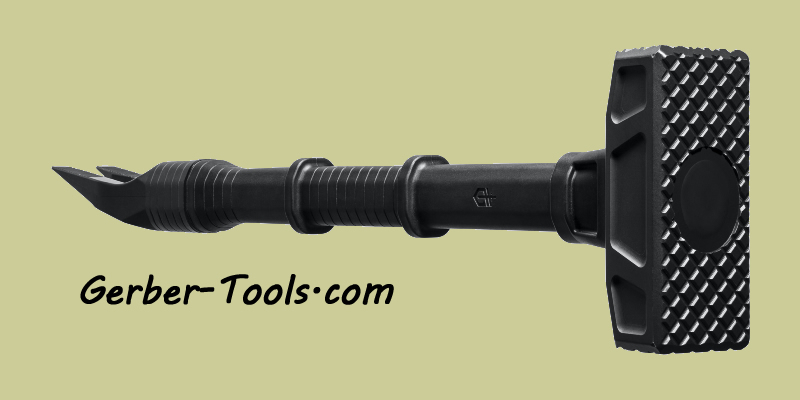 The oversized pry bar is great for slamming into door jambs and prying open. The fiberglass handle has two mechanical rings on it to stop your hand from sliding when you use it. A MOLLE compatible fiberglass plate can mount to your gear and hold the Ding Dong. This fiberglass plate has a strap to hold the Ding Dong secure when you are not using it and quickly detach it when you need it.